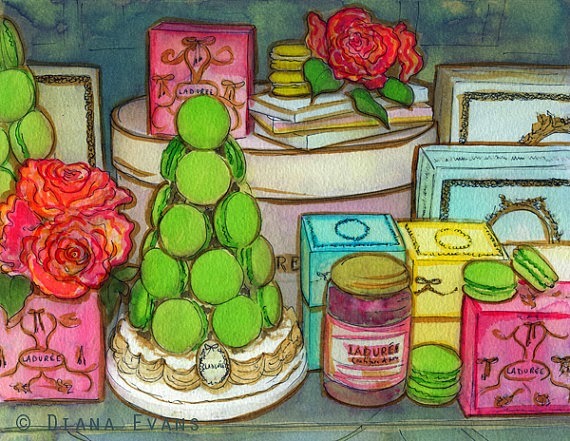 I am completely smitten with Diana Evans' illustrations of Ladurée macaroons and just had to share them with you today. 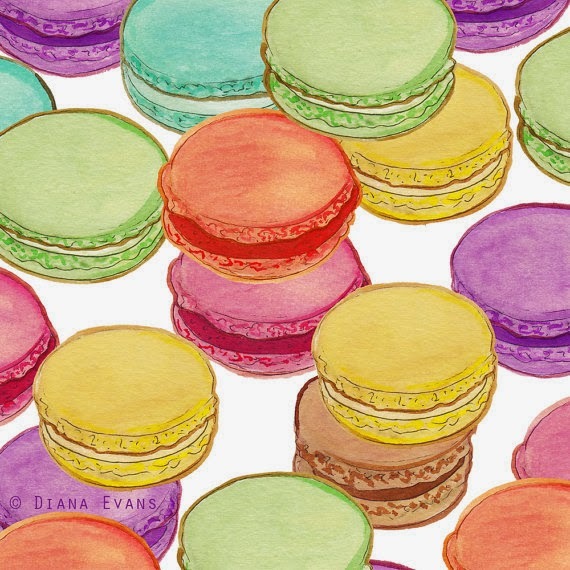 Diana is a full-time artist, designer and author living in Ontario, Canada, and she is inspired by sweet treats, paper dolls and Paris. 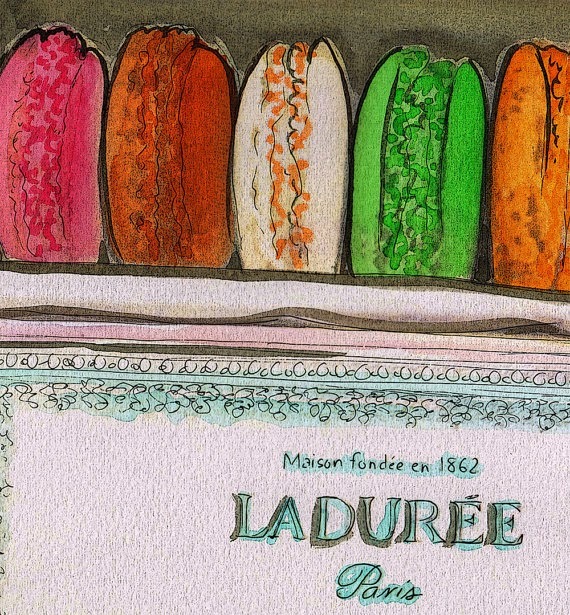 I love her use of color, her illustration detail and hand-lettering. Just lovely! Be sure to check out Diana's blog and website ... her aesthetic is amazing and she has many more wonderful works of art to see. I'm sure you'll be glad you stopped by. Her paper doll series is really wonderful ... so wonderful that I think I'll need to do another post on her to share those as well! Diana's work is for sale at her Etsy shop. Thank you for inspiring me today Diana! 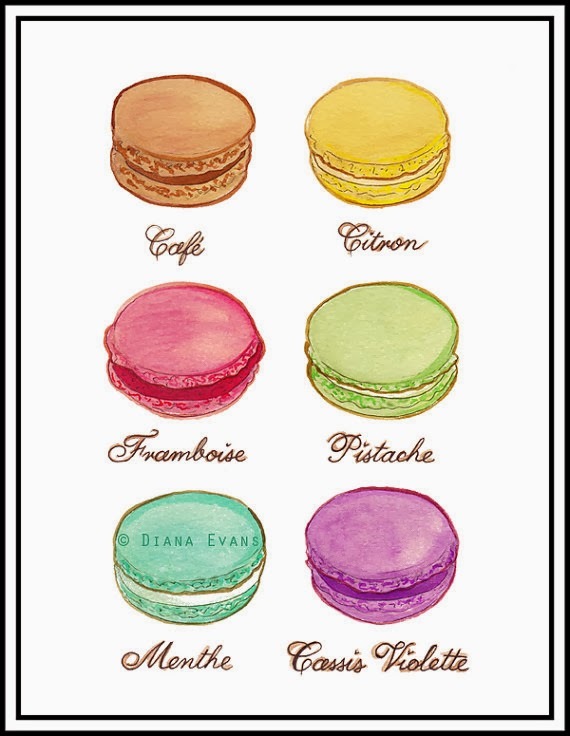 If you love macaroons, check out my previous post on Bottega Louie in Los Angeles. Also divine and wonderful eye candy! oh how wonderful of you to feature my work!!!! 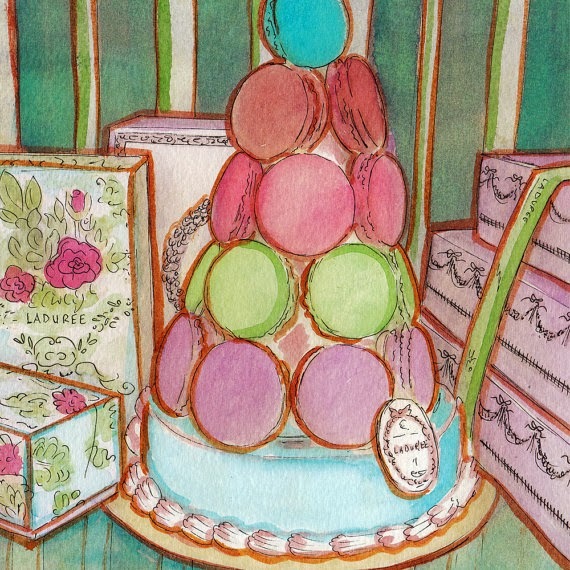 Thank you so much for the blog post!!!! !